The Court of Appeal has quashed a decision by an Accra High Court to jail Nii Ansah Sasaraku III, Dzasetse of Nii Arde Nkpa family from Kokrobite, Langma and Tuba in the Greater Accra Region for contempt of court. The court presided over by Justice Elizabeth Ankamah on June 14, 2013 slapped a 30-day jail sentence because the chief was said to have defied a court order. 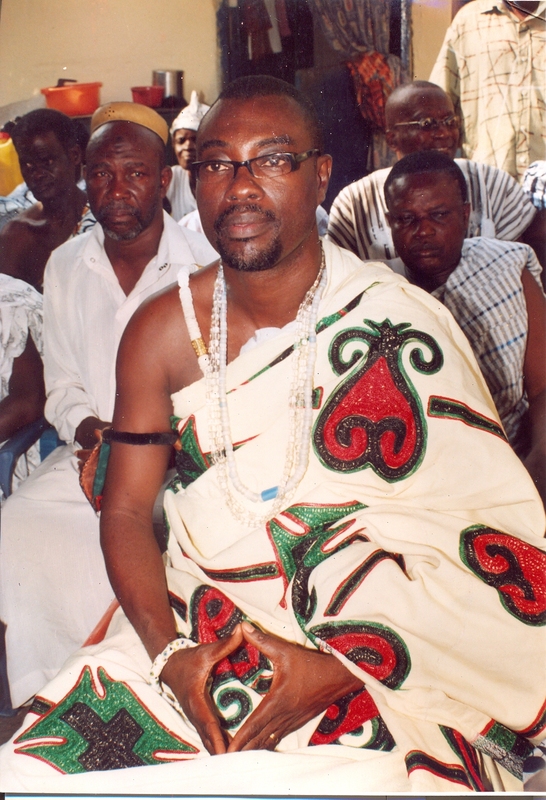 In the same ruling, the court had warned James Town Mantse Nii Kojo Ababio IV for his alleged involvement in the case. However, a three-member Justices comprising of Mariama Owusu, K.N. Aduama Osei and Saeed Kwaku Gyan unanimously set aside the High Court ruling after a successful appeal by Nii Sasaraku III. What landed the chief in contempt was that a court is said to have ruled that Nii Ansah Sasaraku III was not the legally recognized head of the Nii Arde Nkpa Family but with the aid of Nii Kojo Ababio IV, wrote a letter to Nii Arde Nkpa that he has been destooled as the head of family. The court held that after the installation of Nii Ansah Sasaraku III as the Dzasetse of the Nii Arde Nkpa family, he allegedly imposed himself as the head of the family against a legalized appointed head of the family, Rev. Nii Tackie Tagoe. Because of the existing confrontation, Nii Sasaraku III then took the family to court seeking an injunction on the head of the family and Daniel Nii Arde Tagoe, the administrator of Kokrobite, Plerno, Langma and Tuba Lands. A Fast Track High Court presided over by Justice Offei dismissed the application describing it as frivolous and vexatious but Nii Sasaruku III allegedly failed to abide by the court ruling and continued to operate as the Dzasetse and also the head of family and in the process wrote a letter to Nii Arde Nkpa that he had been destooled. The Dzasetse even went to the extent of appointing head men in the villages and further wrote a letter to the Municipal Chief Executive of Ga South that he had destooled Nii Arde Nkpa. Not able to take it anymore, the family initiated contempt proceedings at the High Court in Cocoa Affairs Division against the two respondents and the court jailed Nii Sasaruku III for 30 days. However, not satisfied with the decision, Nii Sasaraku III appealed against his conviction and the second highest court of the land said “there is no evidence surrounding the purported dismissal of the Mantse of Plerno by the appellant into which an interference in the administration of justice or lowering of the image of the court may be read. The court held that having gone through the records and bearing in mind that contempt ought to be established beyond reasonable doubt, the court found no justification for the conviction of Nii Sasraku III. “There is no evidence that the acts complained about, or either by them, denigrated or were intended to denigrate the trial court,” the Court of Appeal held. The court said on the evidence in the instant case, the integrity of the court was not at stake and it seemed to the court that the initiators of the contempt process were more interested in ‘teaching’ Nii Sasraku III a ‘lesson’ than proceed with the action and obtain the perpetual injunction they had counterclaimed for.